Who would have thought in 2002 that the sixteen “open” enthusiasts who that year launched the Budapest Open Access Initiative were about to unleash on the world a chain of events that some believe will eventually upend the 350-year old scholarly publishing system, and has in the meantime thrown researchers, librarians, universities, funders, governments and scholarly publishers into what at times looks like a dance of death. Of course, the key driver for the changes that scholarly publishing is currently going through was the emergence of the internet, since those changes would not be possible without the web. And in fact, publishers had begun to take advantage of the new digital network a decade before open access became a thing. Elsevier, for instance, launched its online database of electronic journals ScienceDirect eight years prior to BOAI. But publishers had assumed they would simply port the traditional subscription model to the online environment and carry on much as before, all be it a subscription model re-imagined as the now infamous Big Deal. In other words, as the name suggests, what was radical about the BOAI was not its recognition that journals could now be put online, but the assumption that this could be done without the imposition of paywalls. In retrospect, we can see that this simple idea has ended up calling into question practically every aspect of traditional scholarly publishing, not excluding traditional peer review and the need for legacy publishers. Yet for all its revolutionary potential, and the significant mindshare that open access has acquired over the past 16 years, some of the key aspirations articulated by BOAI have yet to be realised. And they may never be. Yes, today more research is freely accessible. But leaving aside the fact that the openness of that content is fragile, the truly revolutionary potential of making it open has not yet been exploited. So, for instance, OA has yet to solve the affordability problem that BOAI promised it would, and in pursuit of which goal most librarians joined the OA movement in the first place. The reality today, however, is that paywalls are simply being replaced by publication walls, a development that threatens to disenfranchise those in the global South even more thoroughly than paywalls. These failings are a product of the fact that the strategies adopted and promoted by OA advocates have too often had unintended consequences. Above all, they advocated for the use of pay-to-publish gold OA. In doing so they enabled legacy publishers to co-opt open access, and so lock themselves and their high profits into the new environment, not least by introducing overpriced hybrid OA. The pay-to-publish model also gave rise to a plague of predatory publishers, and the accompanying tide of fake science now threatens to corrupt the scientific record. The nub of the problem is that OA advocates too often fail to think through their ideas and strategies, with the result that their interventions often worsen rather than improve the situation. It does not help that they are susceptible to groupthink and tend to flock around any idea that has superficial appeal. The way that dissident voices are challenged and policed on Twitter is indicative of this tendency. Moreover, OA advocates will often cling to a faulty idea long after it has become clear that it is flawed. Elsevier is of course not a disinterested party. Nevertheless, its point was a valid one and should have been listened to since it is also an obvious one. (Ironically, as soon as it realised that gold OA would allow it to increase its profits Elsevier quickly distanced itself from its warnings, thus proving the point it had made!). But the most knowledgeable and far-sighted commentator has been publishing consultant Joseph Esposito. True, Esposito is not a disinterested party either, and he has a habit whenever a change to the status quo is mooted of muttering darkly “be careful what you wish for” (e.g. here, here and here). Nevertheless, his warnings have generally been on the money. In 2004, for instance, Esposito predicted that in an OA environment, “the overall cost of research publications will rise, though the costs will be borne by different players, primarily authors and their proxies.” This has proved accurate. In the same vein, in 2014 Esposito predicted that open access would be additive rather than substitutive, and so further increase the costs of scholarly communication. As he put it, “revenue from OA will be additive to the revenue from traditional journals.” That is today’s reality. And in 2105 Esposito predicted that open access would be co-opted by legacy publishers. Few would now deny that that too is today’s reality. For open access advocates, this is all hugely frustrating and the cause of a lot of hand-wringing. The uncomfortable truth is that almost every initiative, idea or proposal introduced by the OA movement is rapidly derailed, subverted, or co-opted by publishers for their own benefit, or leads to undesirable developments like predatory publishing. But is this to take too gloomy a view? While many of Esposito’s predictions may be today’s reality, it does not mean that they will be tomorrow’s. After all, we are in the middle of a revolution, and perforce seeing through a glass darkly. We may simply be witnessing the inevitable teething problems that any largescale social change can expect to experience. To put my cards on the table: I am a sceptic by nature and so Esposito’s views resonate more with me than the perpetual Pollyannaism of many OA advocates. Nevertheless, I can see that it may just be that the research community is going to have to wade through a lot more mud before it reaches the promised land. I assume, however, that whether the vision of BOAI is ever fully realised will to a great extent depend on whether those who support, promote and implement open access learn from experience and adapt and change their strategies as a result. Here there are encouraging signs. Conscious that the institutional repository movement has failed, for instance, the Confederation of Open Access Repositories has developed a new strategy focused on creating what it calls a “Sustainable Knowledge Commons”. More interestingly, in Europe we are seeing a new determination to insist that publishers start offering big deals that include a clear transition path to an all-OA environment. These deals, those pushing for them assert, must be fairly priced and they must consist of a package that includes both access to existing paywalled content plus the ability for researchers to publish papers OA on a constantly increasing basis. The Association of Universities in the Netherlands (VSNU), for instance, has been flexing its consortial muscle to that end and turning down deals it does not feel meet its requirements. Meanwhile in Germany, Project Deal is insisting on what it calls “Publish and Read” contracts that make even greater demands of publishers. This has led to a long-standing faceoff between Elsevier and the German research community. And after Sweden followed Germany’s lead earlier this year Elsevier cut off access to its electronic journals in both countries. What has focused European minds is a fast-approaching deadline. In 2016, the EC made a rash promise that by 2020 all European publicly-funded research would be freely available. Two years out, it has become apparent that Europe will need to take dramatic action if it wants to fulfil its promise – or pay legacy publishers ever larger wads of public money in order to do so. One response has been the EC’s announcement that it plans to build its own publishing platform. More significantly, hard hitter Robert-Jan Smits (“one of Europe’s most powerful figures in research”) has been appointed Senior Advisor on Open Access within the European Political Strategy Centre at the European Commission. His task is to ensure that the 2020 goal is met. To that end, Smits is currently working on what has been dubbed Plan S. Strikingly, the signals are that Plan S could see legacy publishers excluded from the solution proposed, or assigned a significantly curtailed role. Much of this may be little more than sabre rattling (we don’t know), but we can surely expect it to focus minds. One problem with Europe’s more aggressive stance is that it is seeing it double down on an anti-democratic and authoritarian trend already evident in its push for OA. We have seen, for instance, ever more demanding and oppressive OA mandates imposed on European researchers – a development at its most extreme in the OA policy announced in 2014 by the (former) Higher Education Funding Council for England (HEFCE). There are now also noises being made to the effect that European researchers may have to give up publishing with legacy publishers and begin using “alternative platforms” (presumably platforms like the one planned by the EC). And it has been suggested that researchers who do not make their work OA could be fined. As such, Plan S could end up alienating not just publishers, but the people who actually produce the research in question, even as they are told that they will be the main beneficiaries of open access. Since they pride themselves on being the premier OA advocates and leaders of the movement this will feel like a punch in the face for librarians. True, the increasingly robust stance Europe is taking in its war with publishers could speed up the transition to OA. But there must be concern that it will cause collateral damage, with researchers and librarians the most likely potential victims. What we learn from this is that the most high-profile OA activity today is taking place in Europe. But what about the country that gave us the ground-breaking 2004 NIH Public Access Policy, and the 2008 Harvard OA policy? What is the state of play in the US today? Certainly, we can see new OA policies regularly rolled out, and these are invariably Harvard-style policies. (The Harvard policy model, we could note, is unlike the top-down compulsory ones being imposed on researchers in Europe. Rather, it involves faculty voluntarily agreeing to adopt policies that invariably include a no-questions-asked waiver element). We can also see a re-invigorated preprint movement gathering pace in the US, in part as a result of the advocacy and technology of the Virginia-based Center for Open Science, but also, of course, bioRxiv, PeerJ Preprints etc. In addition, the long-standing attempts to have OA legislation like FASTR and FRPAA enacted continue. (With little success to date). What we are not seeing in the US, however, is the same determination to take on publishers. This is doubtless in part because academic culture is different in the US, but also because it would be difficult to organise. As Roger Schonfeld has pointed out, the US university system is not centralised in the way it tends to be in Europe. As such, he says, there is “no national-level common negotiating posture” for dealing with publishers. Nevertheless, there is clearly the same desire to move forward with open access, if by different means. And it would seem that the University of California (UC) is keen to take a leadership role in this, judging at least by the range of OA activities and initiatives it is involved in. 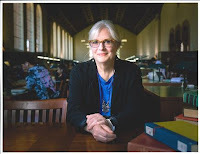 For instance, UC Libraries have been taking part in OA pilots since at least 2009, and since 2012 the University has introduced a series of open access policies. Then in 2015 UC Press launched the OA journal Collabra (Now Collabra: Psychology) and an open access monograph publisher called Luminos (some background here). A year later (2016), the California Digital Library (CDL) took part in a joint study designed to estimate what the institutional costs would be if subscription journals were converted en masse to an entirely APC business model. This was preparatory to proposing a “global flip” strategy in which a largescale conversion of subscription journals to pay-to-publish would be engineered. The US study came in the wake of a similar exercise undertaken by the Max Planck Digital Library. Max Planck concluded that there is already enough money in the system to pay for a large-scale transformation to OA and published its findings in a white paper in April 2015. This became the foundational document for the 2016 OA2020 Initiative. UC followed up by overseeing the launch of a US version of OA2020. [Please see correction here]. 2018 has seen the pace of UC’s OA advocacy activities increase further. In February it published Pathways to Open Access (some context on this here), followed in April by a Declaration of Rights and Principles to Transform Scholarly Communication. And in June the University published a Call to Action with the stated aim of addressing the “twin challenges of journal affordability and the moral imperative of achieving a truly open scholarly communication system”. What does this vision mean in practice, and how will it be achieved? What is the endpoint being worked towards? What, in short, is the University’s current thinking on open access? Who better to put these questions to than Virginia Steel, the Norman and Armena Powell University Librarian at UCLA, and Chair of the SPARC Steering Committee? She also appears to be more independently minded than many OA advocates, and not shy to challenge and question proposals she has doubts about – as evidenced by her decision in 2016 to write an open letter to the academic community setting out her concerns about the OA2020 Initiative and the notion of a “global flip”. Steel’s approach is doubtless partly a product of the more democratic academic culture evident in the US. As a result, discussions about OA tend to major on voluntarism, persuasion and academic freedom, not compulsion, confrontation and punishment, as we see in Europe today. Nor does Steel believe we can rush the transition to OA. “[T]urning the scholarly publication system upside down will probably take several decades,” she says, adding that convincing researchers to get on board “requires continued effort to explain, cajole, and convince”. This last point is an important one. It reminds us that there has never been consensus within the OA movement. It is for this reason that funders, universities and governments in Europe have adopted a top-down compulsory approach. The danger of this approach, however, is that it will diminish and erode important academic values, alienate key stakeholders, and maybe even prove counterproductive. On the other hand, the more laissez-faire approach we see in the US might mean that by the time a consensus is reached, and by the time researchers have been persuaded in sufficient numbers of the merits of embracing OA, legacy publishers will have so fully embedded themselves into the OA environment, and indeed across the entire research workflow, that it will prove impossible to stand up to them, or even to contemplate doing without their services, whatever they might charge for those services. Such an outcome would mean that any hope of resolving the affordability problem would have to be abandoned, as would any hope of creating the more equitable knowledge infrastructure envisage by BOAI. In conclusion, the vision articulated at BOAI in 2002 has yet to be realised, and there must be doubts that it will be. For sure, we are seeing more research made open access, but it is often a fragile openness, and the problem of affordability remains. Most disappointingly, the possibility of COAR’s “sustainable knowledge commons” ever becoming reality looks increasingly unlikely. It may be that I take too sceptical a view. but whatever happens, it is unclear to me that the European approach of confrontation and compulsion will prove any more successful than the US emphasis on persuasion and consensus building. And both approaches would seem to come with risks. In short, the future is uncertain. In fact, sitting in the middle of the OA revolution as we are, we might even be tempted to think that the outcome will depend as much on luck as on schemes, strategies and plans. Like Pierre Bezukhov wandering around the chaos of the Battle of Borodino in War and Peace, we might have to conclude that the actions of leaders, and of plans and policies, are far less effective than we like to think! The interview with Virginia Steel is available in a pdf file here. 73 universities have introduced a Harvard-style OA policy to date, mostly institutions in the US. "Open Access" is a great piece of language, but it ignores the flip side: "Open Access for Authors." Publishing papers is expensive. A paper in Ecology, the fields premier journal (published by the Ecological Society of America) cost several thousand dollars a few years ago. That was real cost--no subsidy for the Society. Running a modern science journal requires a large IT infrastructure to support the review and publication systems--which is why ESA ultimately partnered with Wiley. Of course libraries love OA: not only does it synch with a Library's philosophy of making information available, but it also moves the costs off their books! But what do you do when a paper comes out after a grant has expired or a student does a side project that didn't have funding? Or even simply what do you do if a project is more successful than anticipated and generates more papers than you budgeted for? Author-Pays models struggle with this. Subscription-based journals, in contrast, are "Open Access for Authors." It remains critical to ensure that all research that is novel and sound, deserving of a high-profile outlet, can be published, regardless of the author's ability to pay. The following corrections to this blog post and the attached interview have been suggested by Virginia Steel and Jeffrey MacKie-Mason. On 29th July I published an interview with UCL University Librarian Virginia Steel. A few days later she and her colleague Jeffrey MacKie-Mason asked me to publish the above correction. Subsequently, I have been contacted by OA2020 who have requested a correction to the correction. I am publishing this in two parts. The first (below) is from Colleen Campbell OA2020 Partner Development. The OA2020 roadmap has undergone only one substantial update, launched with our new website last October (the correction above refers to mid-2016, but I am fairly certain it was October 2017). I have illustrated the changes in the roadmap above, but would add that the statement in bold above is not exact. In discussing the opportunity for large-scale transformation, starting with the MPDL White Paper and even today in our narrative and presentations, the APC is used as a financial denominator to illustrate and compare costs to institutions under the subscription and open access paradigms. This does not mean that OA2020 or the Max Planck Digital Library advocates for the APC-based business model as the single reasonable approach to achieving open access. Indeed, OA2020 highlights many non-APC based scholarly publishing initiatives in its narrative (roadmap, presentations, etc.) and, on a local level, the MPDL is actively involved in a great number of these. It is true that APCs play a very prominent role in our White Paper of April 2015, but this was because a general “per publication” unit (ie individual research article) was necessary in order to discuss and compare the overall costs of the subscription system with those that could be anticipated in a fully open access paradigm. At no point in time, however, did we single out an APC-based approach as the only way forward, neither at the Berlin 12 Conference in December 2015, nor after the launch of the OA2020 campaign in March 2016. When you look at my slides of the ARL presentation in September 2016, there is no advocacy of the APC model, only reference to APCs as a common price denominator. It is also true that one of the practical tactics used by many participants in the OA2020 Initiative is negotiation of “transformative agreements”, as Colleen mentioned, and these agreements sometimes—but not always—use the APC as a unit of measure. But I can reiterate that the objective of transformative agreements is not to propagate the APC business model but to make a decisive shift of institutional funding away from paywalled subscriptions and toward open access publishing services—a necessary step to liberate funds from the black box of subscriptions. After we had learned that our message was sometimes misunderstood, we undertook efforts to improve our communication strategy, making our message less ambiguous and highlighting how OA2020 aligns with the various regional efforts around the world; this is when Colleen joined our very small team. As for the Max Planck Digital Library itself, we are a library that can look back on 15 years of dedicated strategies to foster open access. For us this means investing our money in meaningful open access publishing initiatives at the service of our researchers, regardless of the underlying business model type. As early as the times of the Berlin Declaration we were negotiating publishing service agreements with a growing number of pure OA publishers (starting with the New Journal of Physics and BMC, evolving through the likes of Copernicus and PLOS, then, more recently Frontiers, Hindawi, PeerJ, etc.). At the same time we have been a facilitator and early adopter of a variety of ground-breaking non-APCs initiatives; most notably, we were instrumental in establishing SCOAP3, we helped to shape and establish the support scheme for arXiv and Knowledge Unlatched, we give our support to initiatives such as the Stanford Encyclopedia of Philosophy, DOAJ, Bioline, OLH, the Fair Open Access Alliance, and SciPost. In short, wherever there is a practical open access implementation, chances are that you will find the Max Planck Digital Library somehow involved. In addition to our practical track record, MPDL was also the task owner of the open access business model evaluation for the EU project SOAP, back in 2009-2010. This analysis demonstrated that while it is unlikely that APCs can be fully avoided, they are never the only business model. I hope these words have sufficed to clarify that there has been no change in our strategy, neither at MPDL nor in the Open Access 2020 Initiative that we are coordinating on behalf of the global research community. Our researchers have tasked us with accelerating the transition to open access, and our approach continues to be based on a broad, comprehensive strategy. It should be further clarified that the foundational document of the OA2020 Initiative is the Expression of interest in the large scale implementation of open access to scholarly journals. The Expression of Interest is the very core of our vision, mission and activity. The OA2020 roadmap offers guidelines on practical steps that libraries and signatories of the Expresson of Interest may take to drive the envisaged open access transformation.